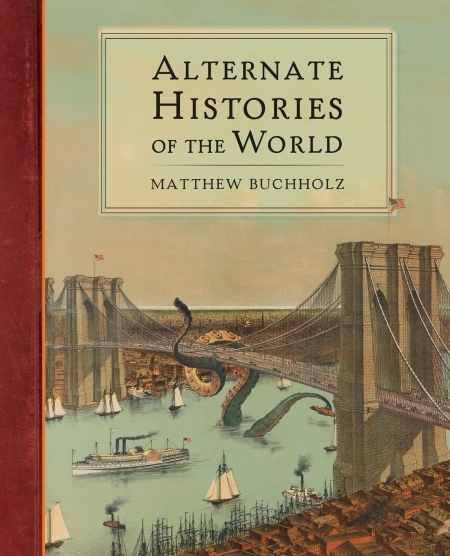 The cover to Alternate Histories of the World, featuring an appearance by Rosie, the East River Monster! 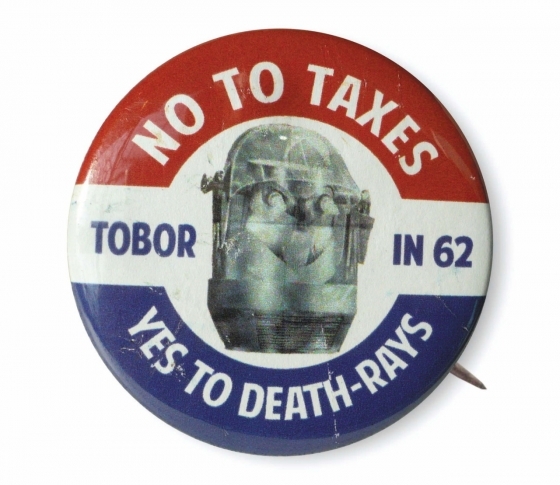 Alternate Histories of the World by Matthew Buchholz makes history more interesting. 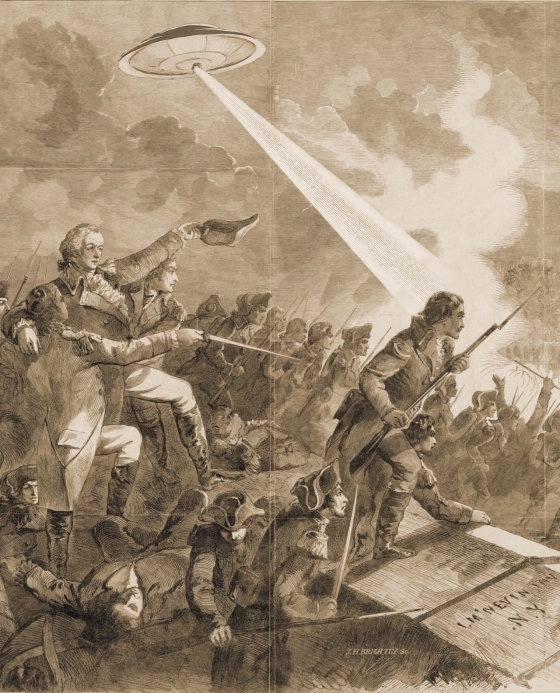 Martian flying saucers assist the Continental Army in the Battle of Stony Point, 1779. 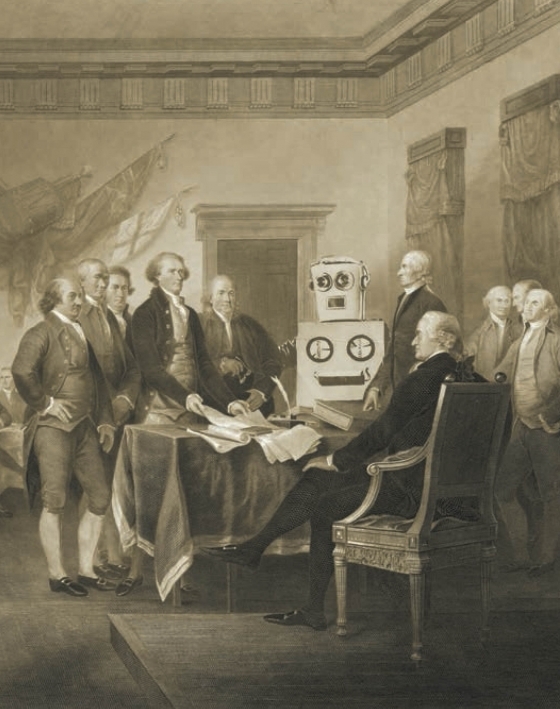 The robot who helped write the Declaration of Independence. 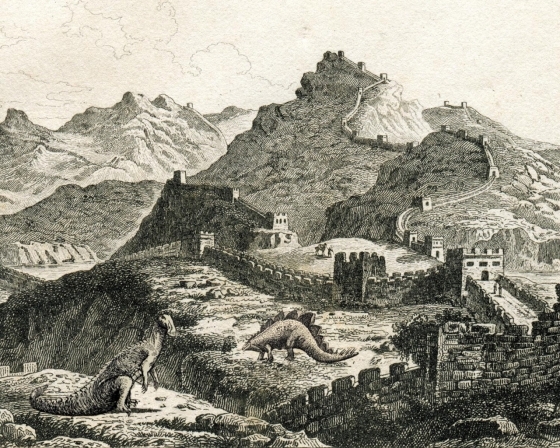 A view of the Great Wall of China, constructed over centuries to help control China’s Dinosaur herds. 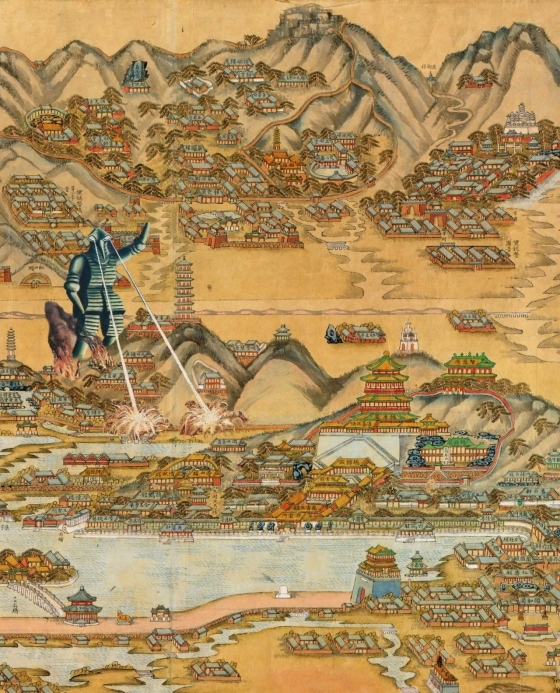 A view of Beijing, 1870, with the great Mysterion laying waste to Western holdings. 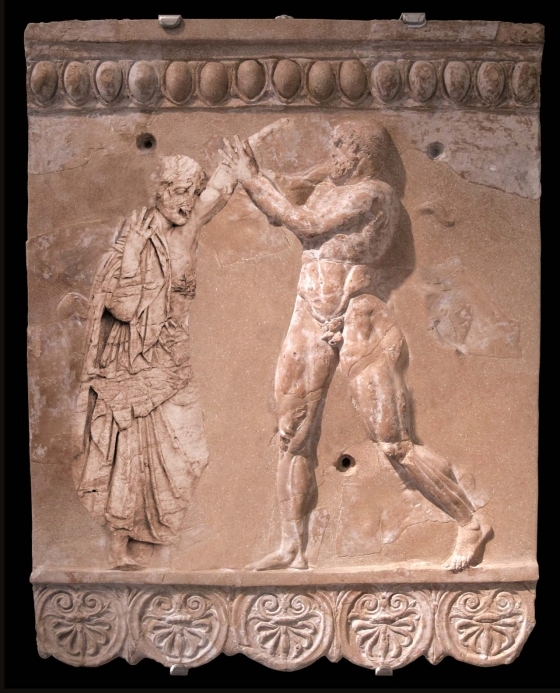 A clay pot shard that shows Hercules engaged in one of his twelve labors, conquering one of the first known zombies.